Drawing inspiration from beachwedding.com’s top 40 beach wedding pictures here at ETP have compiled some of our top beach wedding photos. 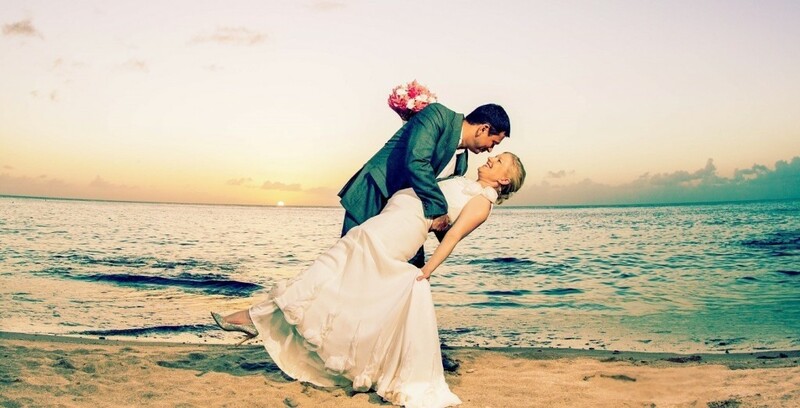 Here are 10 of our favorite beach wedding shots. This one starts kicks off our list for obvious reasons. 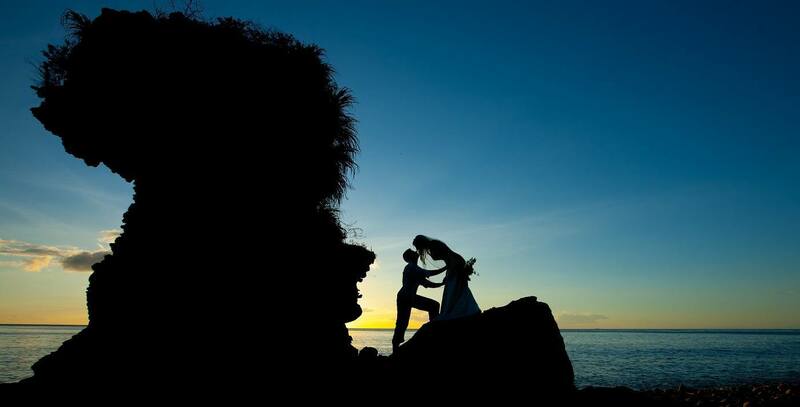 No beach wedding photo shoot is complete without a stunning sunset picture. 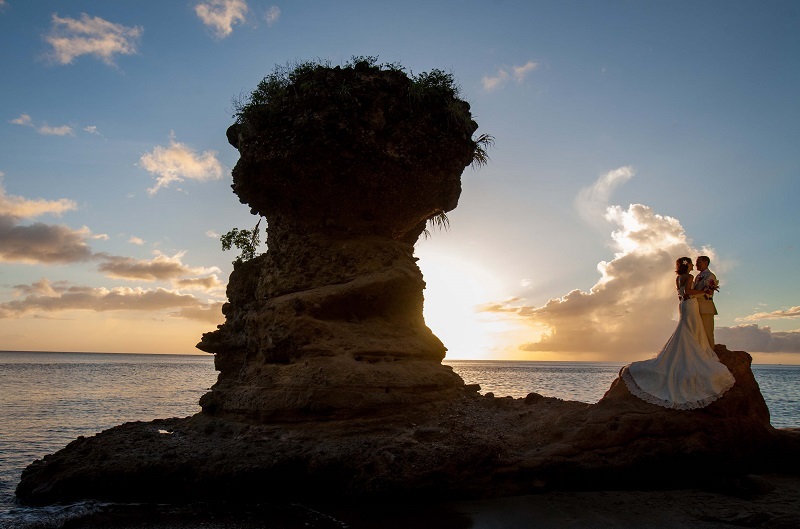 Anse Chastanet’s two beaches provide multiple options and many stunning sunset shots over the years. The beach is a fun place, the dip is a classic the two together equals a must have shot. Newlyweds strolling along Anse Chastanet beach, love is in the air not a care in the world but for their partner. The kiss at twilight, sun has set on perhaps the best day of one’s life. Getting that silhouette type effect is an eye catching contrast of light and dark. 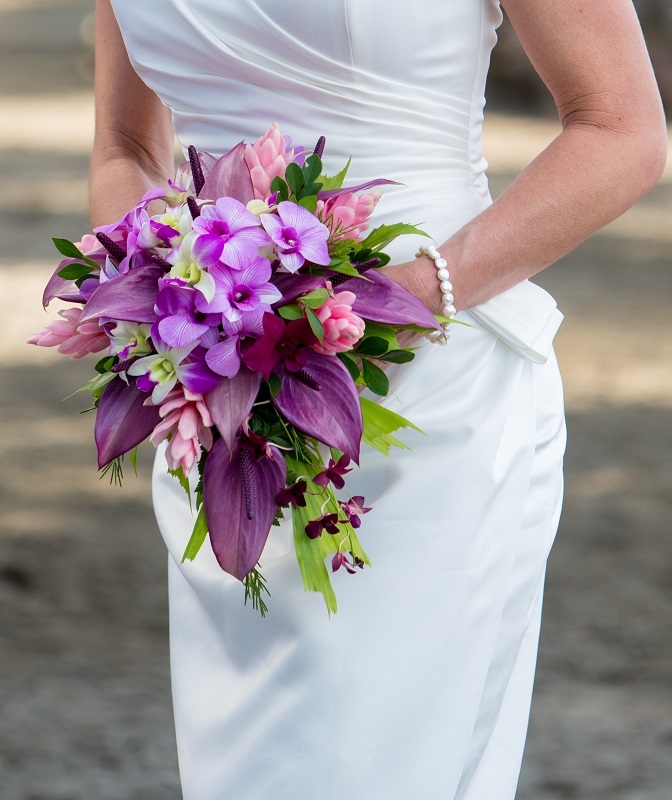 Anse Chastanet and Jade Mountain provide an array of bouquet arrangements to suit your needs. Why not show off your unique bouquet, whether it be imported flowers or an amazing tropical theme. The bouquet may not last but your memory will, the little things that compliment a perfect day can be captured in a stunning shot. 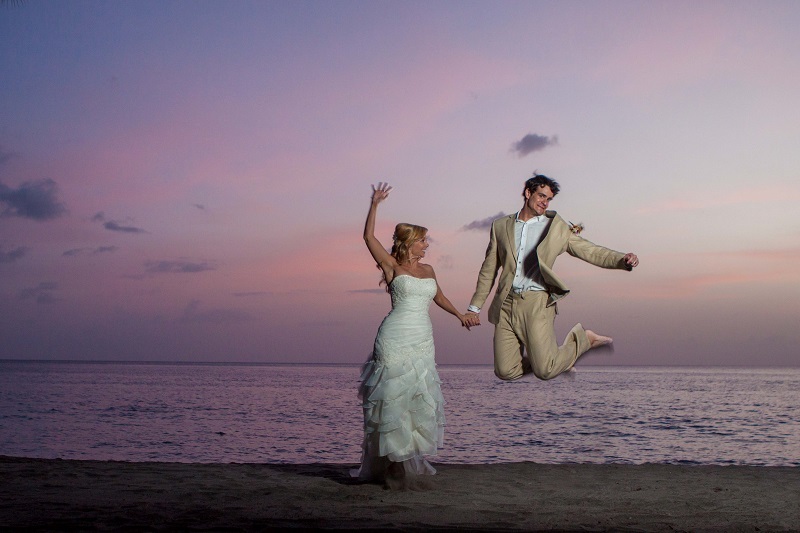 What’s a more fun way to Trash the Dress than jumping into the Caribbean Sea at sunset? 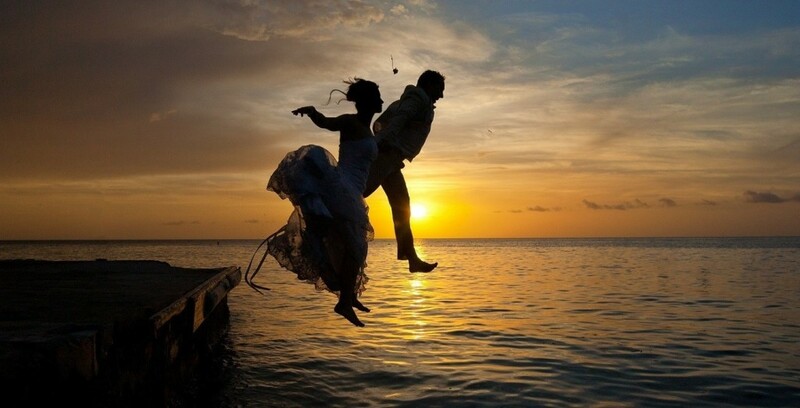 The jump, a well timed playful shot, showing a couples fun side. Another classic shot, a must have of sorts. 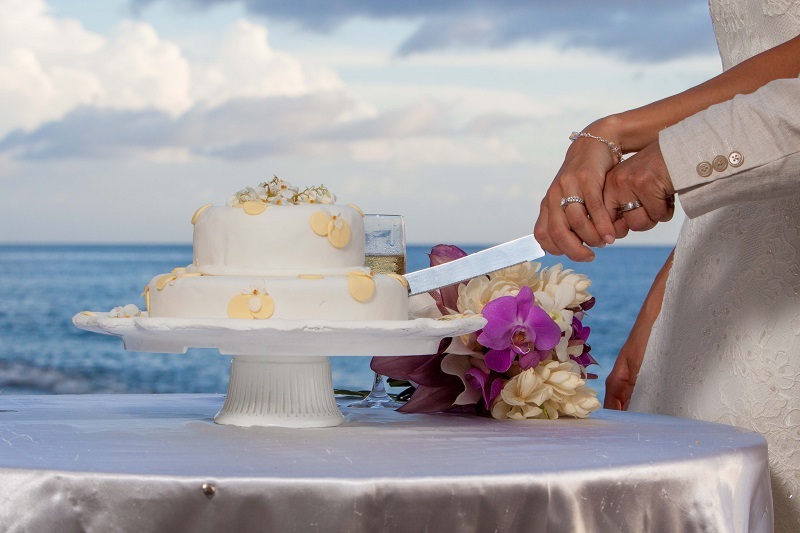 The couple cutting the cake, this time with a calm sea in the background. 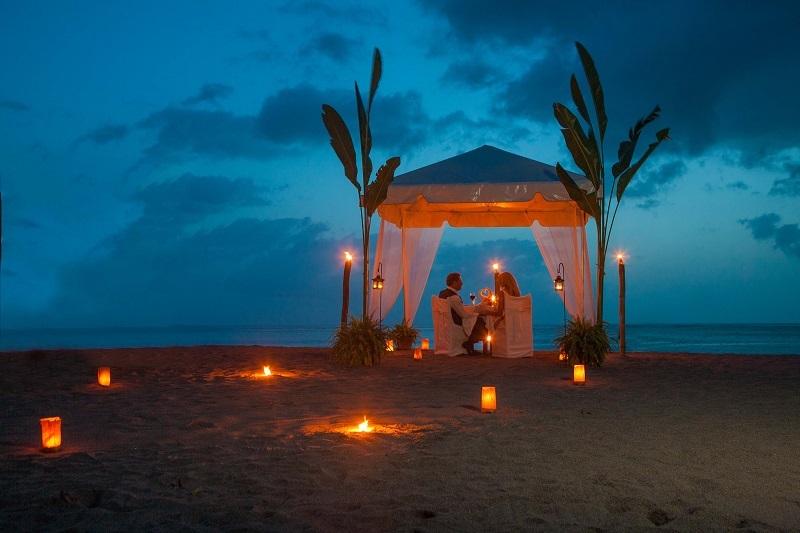 Private dinner on the beach? Why yes! Another fun sunset shot. 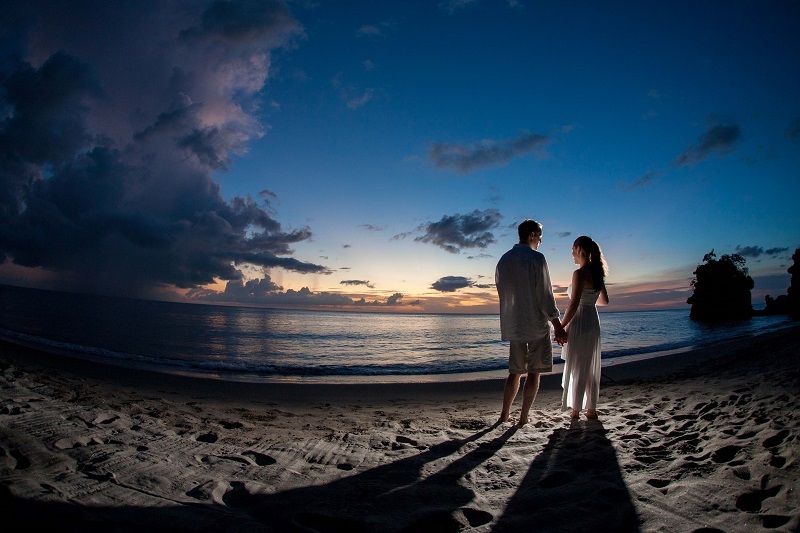 There really is no going wrong with beach sunsets, this time long shadows are cast by the newlyweds.